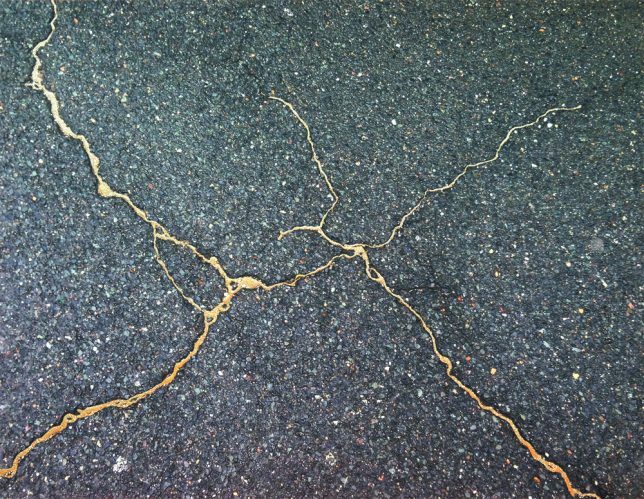 Taking a concept most commonly applied to broken pottery, artist Rachel Sussman applies golden pigment to the cracks in paved urban surfaces in a series called ‘Sidewalk Kintsukuroi.’ In Japan, this tradition – also known as kintsugi – treats breakage and repair as a valuable part of an object’s history instead of something to disguise. 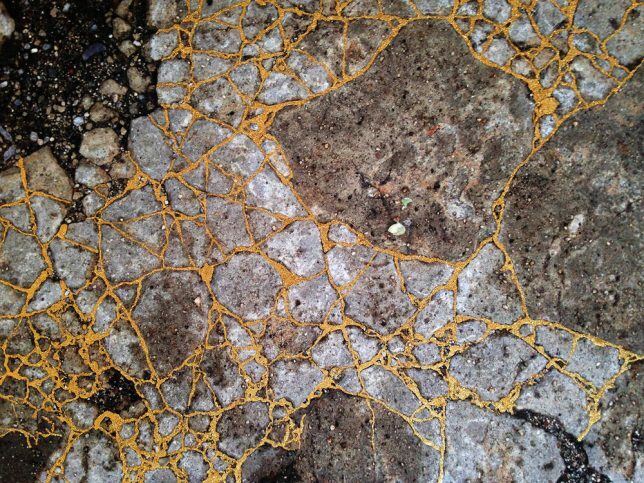 The cracks are highlighted and in effect, celebrated, making the object more visually interesting. 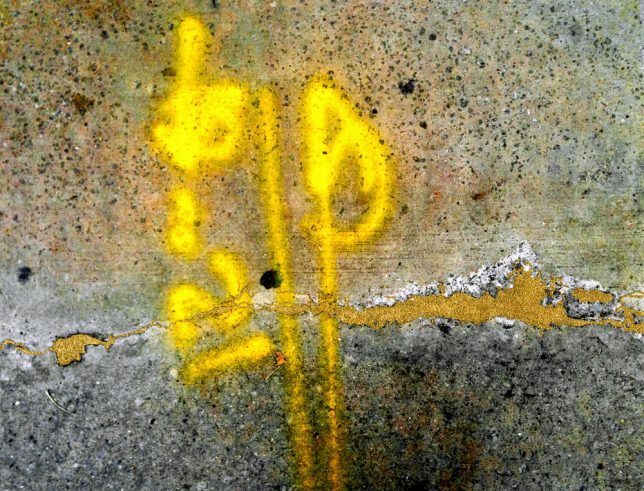 It’s interesting to see this idea of embracing flaws extended to public surfaces. 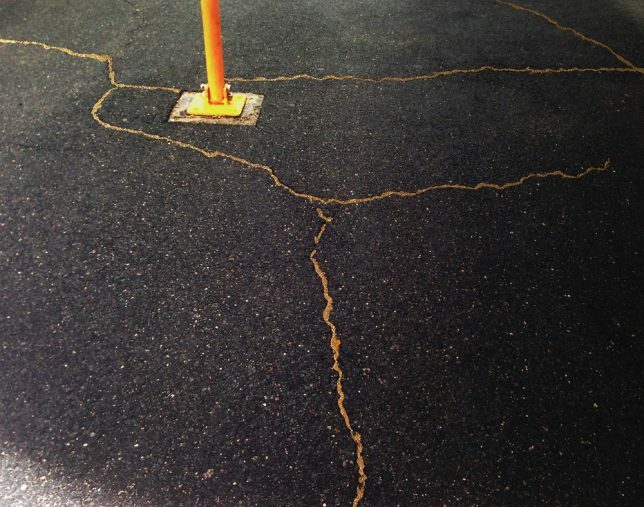 Instead of simply allowing them to be paved over, Sussman calls attention to them and makes them into works of art. 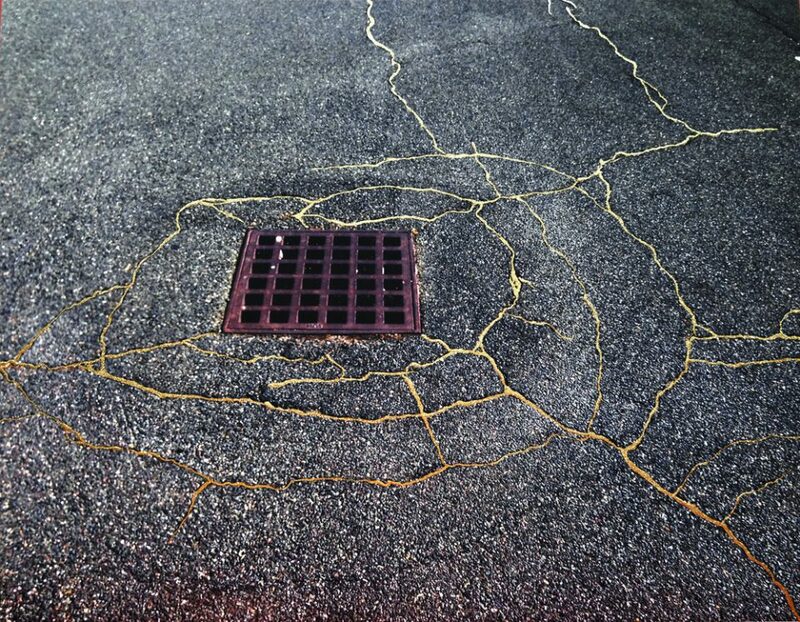 In this sense, these cracks become part of the constant evolution of a city, remaining visible even after the functionality of these roads or sidewalks has been restored. The resulting patterns are often quite stunning, their irregularities taking on abstract compositions of light and dark, matte and luminescent. In some cases, they almost look like marble. 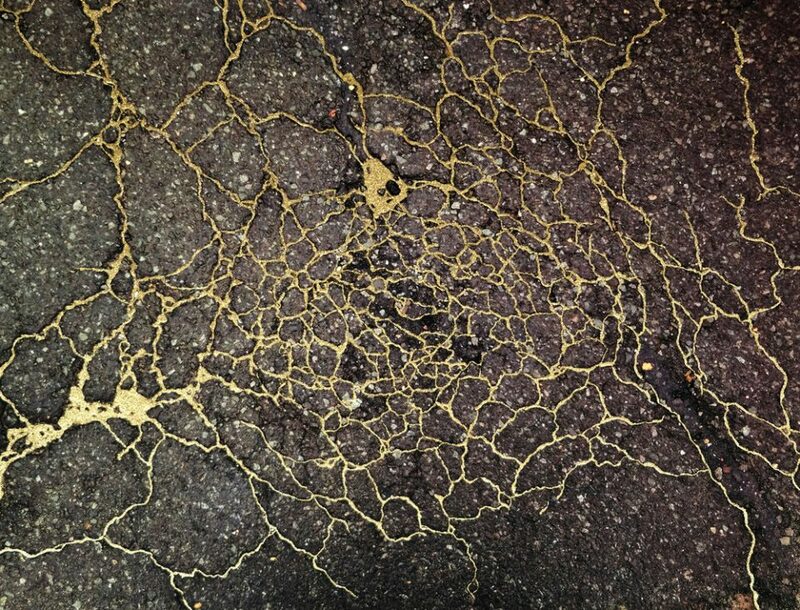 Susan created the in-ground installations using tree sap-based resin and a combination of bronze and 23.5 carat gold dust. To reproduce the effect in a gallery environment, the artist hand-painted enamel and metallic dust onto photographs of the physical works. 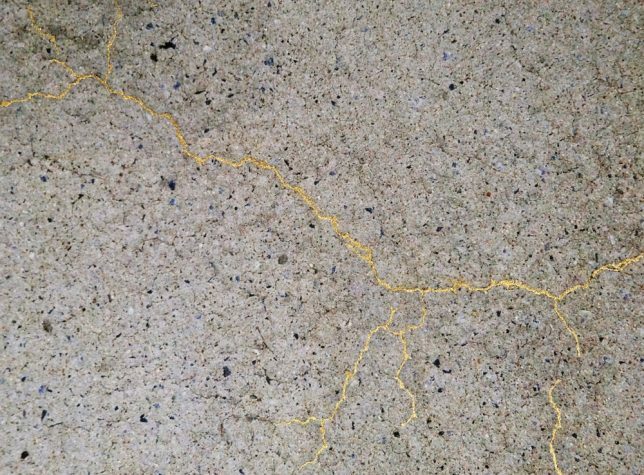 They’re currently on display as part of the Alchemy: Transformations in Gold show at the Des Moines Art Center.